This two-CD set is a great return from the Specials with their first album of new material for almost 40 years. 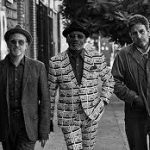 Their line-up here is one that we never thought would record and perform together again: Terry Hall (vocals), Lynval Golding (vocals and guitar) and Horace Panter (bass). They are supported by several other musicians including Steve Cradock (originally from Ocean Colour Scene, though he has been playing with the Specials for some time). The overall sound is one that we’ve come to appreciate from the Specials, with Terry Hall’s understated vocals and Horace Panter’s powerful bass evident throughout. CD 1 begins, somewhat surprisingly, with ‘Black Skin Blue Eyed Boys’, which is the Specials’ take on a hit from the Equals from the late 60s. It’s given what amounts to a funk treatment here with guitar and bass laying down a rhythm that makes you think Shaft is going to appear through a pile of discarded boxes in a New York backstreet. But he doesn’t and it’s on to another wah-wah and funk rhythm in ‘BLM’ but with frank spoken word rendition of how the Windrush generation was treated by their adopted nation, making for uncomfortable listening. The third track is ‘Vote for Me’, the excellent reggae song selected for single release, reminiscent of ‘Ghost Town’, with a strong timely message and strong melody which makes you wonder why the Specials have been away for such a long time. ‘The Lunatics’ is a remodelled version of ‘The Lunatics (Have Taken Over the Asylum)’ originally recorded by Fun Boy Three, with Terry Hall on vocals then and now. It’s bass heavy and more assertive than the original. ‘Breaking Point’ is a song that could plausibly have originated in the ‘Cabaret’ era, perhaps penned by Brecht and Weill, and like the best of the Specials’ songs it has a superficial jollity which hides an underlying melancholy. Then it’s back to great vintage era reggae with ‘Blam Blam Fever’, originally by the Valentines and, as Reggae Fever, by the Pioneers. Next up is ’10 Commandments’, a radically different take on the song by Prince Buster with its now almost unlistenable original lyrics transformed into something else entirely by anti-racist campaigner Saffiyah Khan who handles the powerful words confidently. She is quoted as saying her version is not written from an explicitly political perspective, it’s just about “common sense and how we treat each other”. ‘Embarrassed by You’ is a Specials original, combining their trademark mixture of bitterness and hope, and instrumentally strong. Much the same can be said of ‘Life and Times’ with its theme of disillusion and calling out the emperor for his lack of clothing over a funky/reggae rhythm. The first CD closes with ‘We Sell Hope’, a slower thoughtful song with its message to take care of each other in a world where values have been inverted. This is, beneath the highly diverse collection of tracks, a remarkable and emotional album. As for originality, ‘Vote for Me’ certainly draws melodically from ‘Ghost Town’, and did I hear a chord change inspired by ‘Wear You to the Ball’ within ‘Blam Blam Fever’, or a bass line hinting at ‘No, No, No’ elsewhere on the album? Probably, but it doesn’t matter. Music draws from its history, reminding us where it’s coming from and where it’s heading. As for CD 2, that’s a live collection of the Specials at their best. Comprising 11 tracks, it kicks off with a frenetic account of ‘Gangsters’ (their version of Prince Buster’s minor hit ‘Al Capone’ from the 1960s) which helped to define the 2-tone era in the late 70s, ‘Friday Night, Saturday Morning’ (one of the songs on the B side of ‘Ghost Town’) which sums up the desperation of the time all too well, and ‘Enjoy Yourself (It’s Later than You Think’), another classic made famous by Prince Buster although the song itself dates from the 1940s. The second CD closes with a song best known for its version by Louis Armstrong of all people, ‘We Have All the Time in the World’. The sad thing is that we don’t. 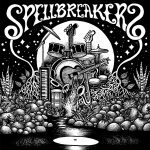 Here’s a new 12” single from Belgian roots band Spellbreakers, recorded live in their Antwerp studio on analogue equipment to give it that vintage reggae sound. 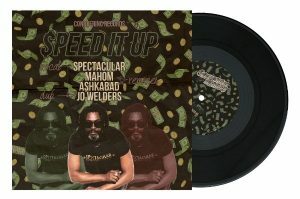 This is their second 12” release and there is a great authentic feel to the two tracks. ‘Well Runs Dry’ is a fairly slow-paced reggae song, breaking into dub-style half way through, while ‘Purification Song’ is another strong track, perhaps reminiscent of the Capital Letters, with an excellent dub drum sound. With powerful vocals from singer Juli Jupter, and great production values, this is worth hearing if you like classic-style reggae music, heavy with bass and drum. Here come London band the Skints – one of our favourites! 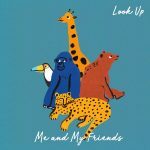 – with their new single, released on Mr Bongo. 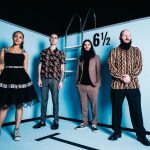 Formed in 2005, the Skints grew to their current four-piece line-up and have now built a formidable reputation in the UK and beyond. As we’ve come to expect from the Skints, this track draws from a number of genres, including punk – evident in its grungy chorus – but at its core it’s a reggae song moulded by the lovers’ rock era. Vocalist Marcia Richards wrote the song drawing from her own personal experience of the loss of her sister. “The innocent lovers’ rock expresses both my current musical output and the memories of my childhood that are becoming more distant. The chorus has no words but flips to an era of punk and pop music that my sister was deeply into. Just as my mind gets wrenched back to that precious time so often, the song does too”. 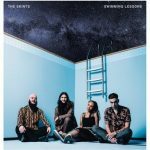 The Skints: Learning to Swim, released January 2019 on Mr Bongo Records on the UK; Easy Star in the USA. 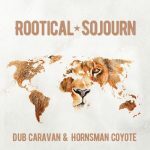 Dub Caravan (UK) and Hornsman Coyote (Serbia) are here again to offer this new album, comprising 16 cuts of largely instrumental and dub tracks. The album is performed and mainly written by Felix Russ Abu (Dub Caravan) followed by overdubs (and very limited vocals) from Nemanja Koji (Hornsman Coyote). It’s a strong mature dub-style album with both a digital and analogue input to the overall instrumental sound. 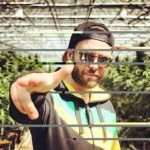 ‘The Search’ is a great little melodica-sounding track with a strong percussive element, and the dub of the same track is even stronger with its slow loping dub-reggae rhythm. 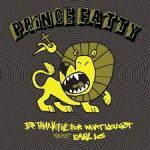 The album will appeal to all who appreciate classic-era dub sounds. 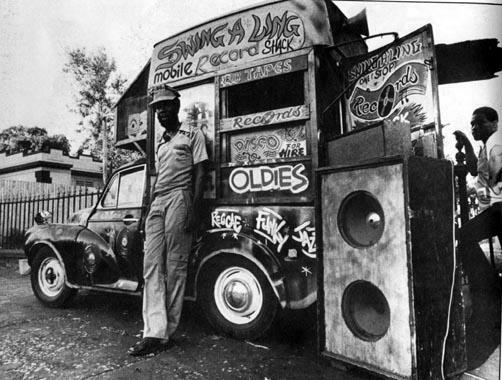 Also included are Dub Caravan takes on classic reggae songs by some of the reggae greats: “Running Away” by Bob Marley, “Congoman” by “The Congos”, “I Love King Sellasie” by “Black Uhuru” and “None a Jah Children no Cry” by Ras Michael. Following a series of singles (and a couple of previous albums, ‘Connexion’ and ‘Espace d’un Instant’) here’s a new track from French performer Aya Waska, named after the substances promoted in this video. With a reputation established primarily in Switzerland, Aya Waska offers this little tune in a ragga style on the Heart of Sun label. Don’t know if it amounts to a hallucinogenic brew as his name implies but it’s a nice tight bass-heavy digital mix.